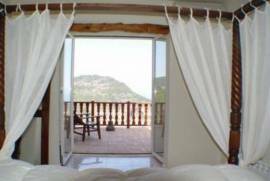 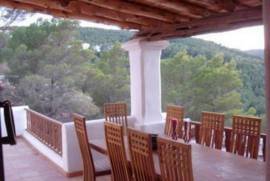 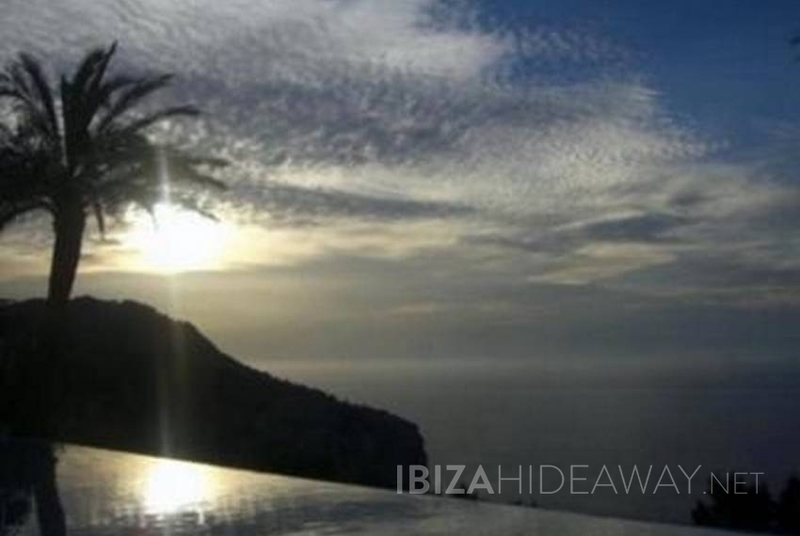 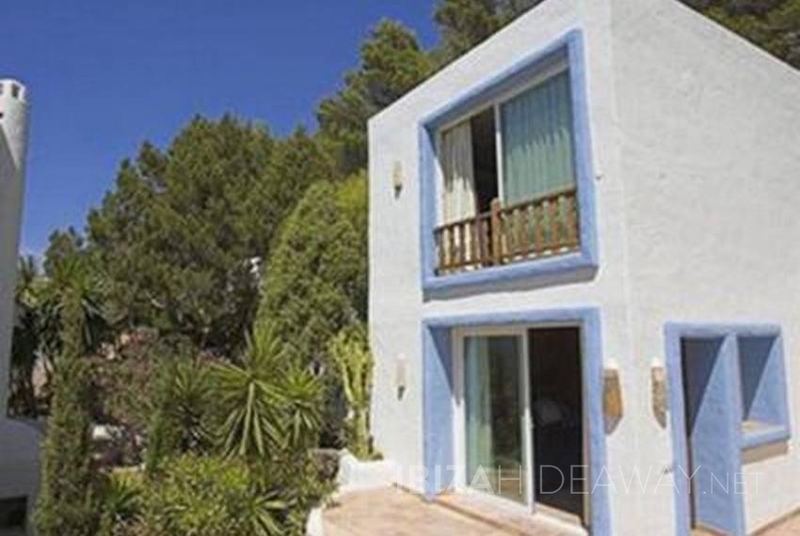 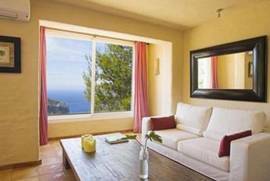 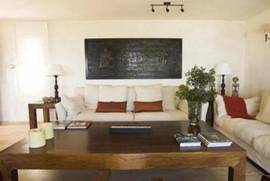 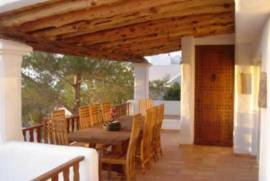 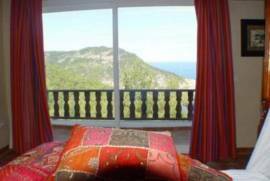 Eight bedroom villa built on a cliff in San Miguel with heartopening views, ideal for group holidays or family gatherings. 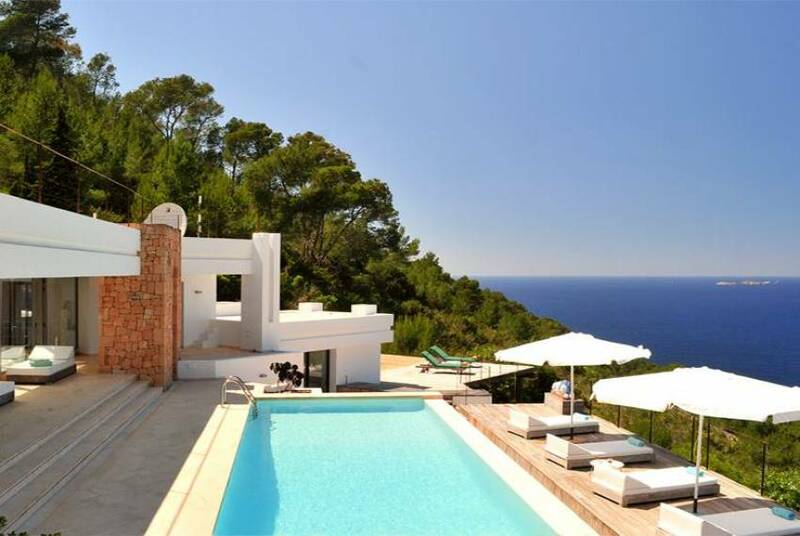 At the villa you have it all. 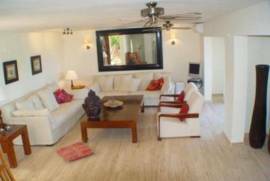 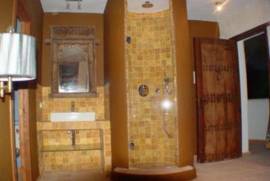 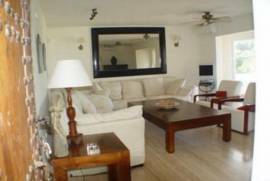 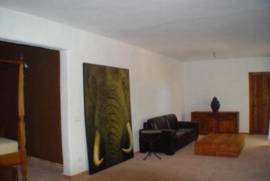 A comfortable, highly furnished mansion of 900 metres with a private pool of 11 x 5 m, terraces and mature, exotic palm tree gardens. 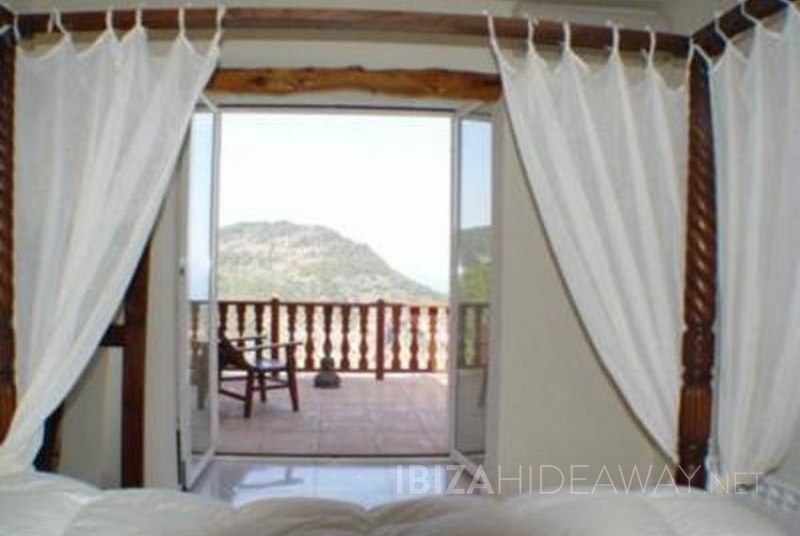 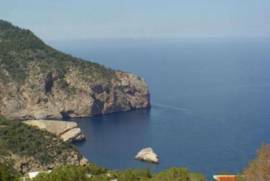 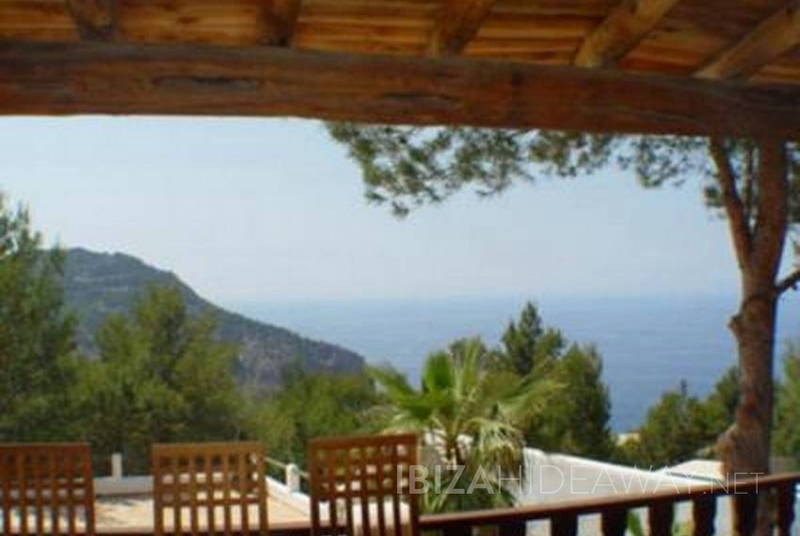 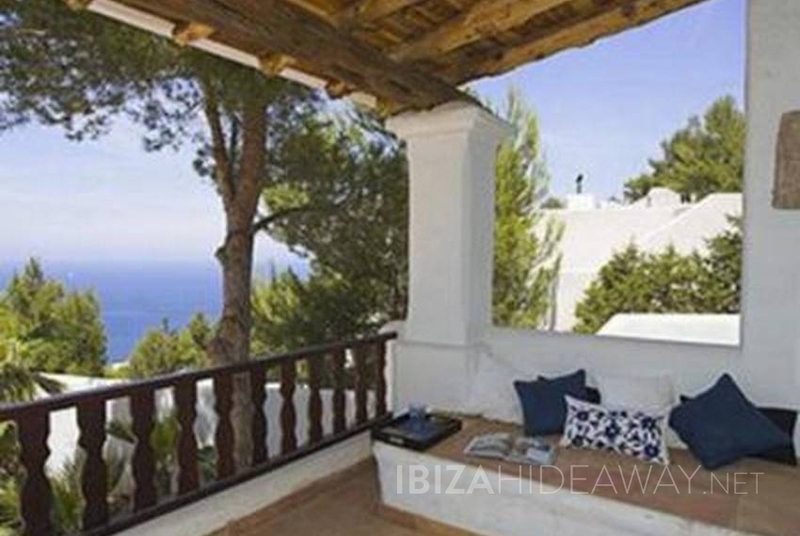 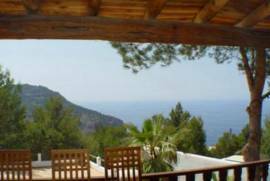 Add the spectacular views from all points of the house and garden, which you get at this outpost in the north of Ibiza, and you have a perfect holiday. 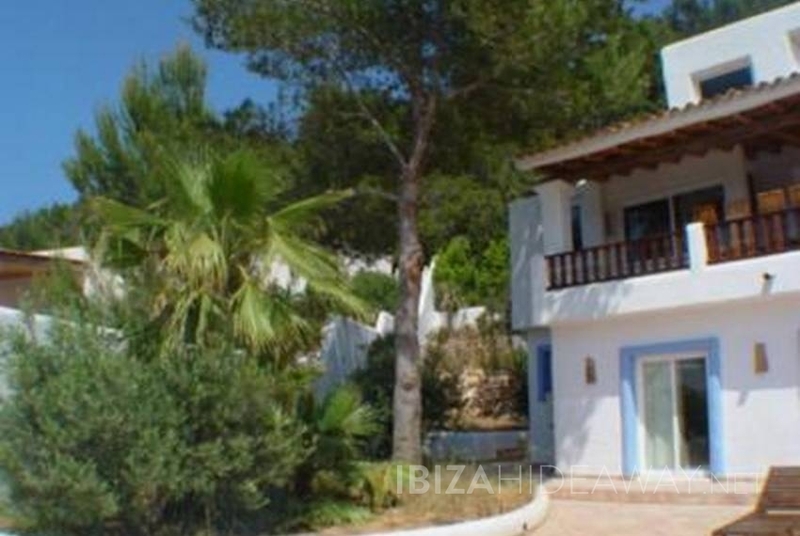 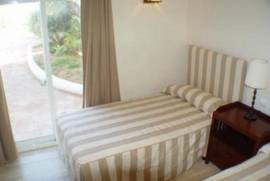 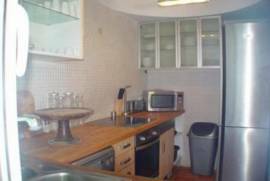 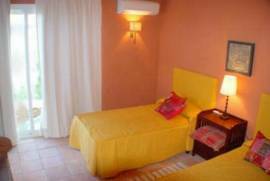 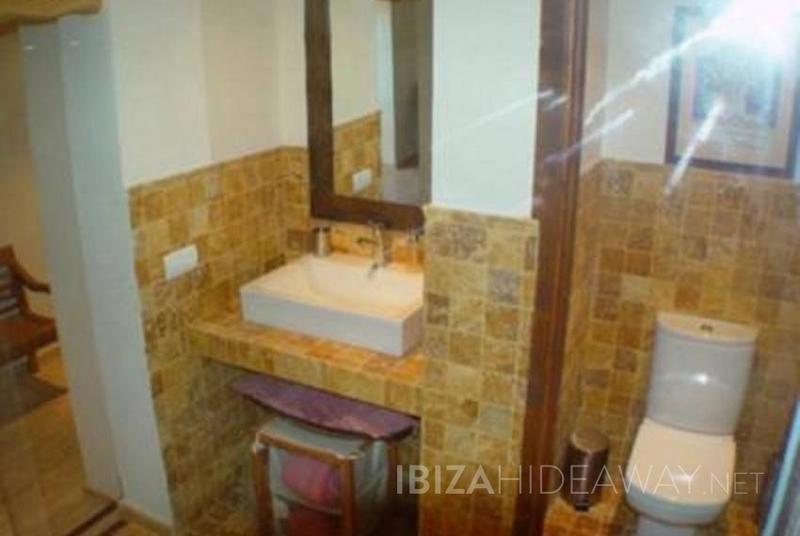 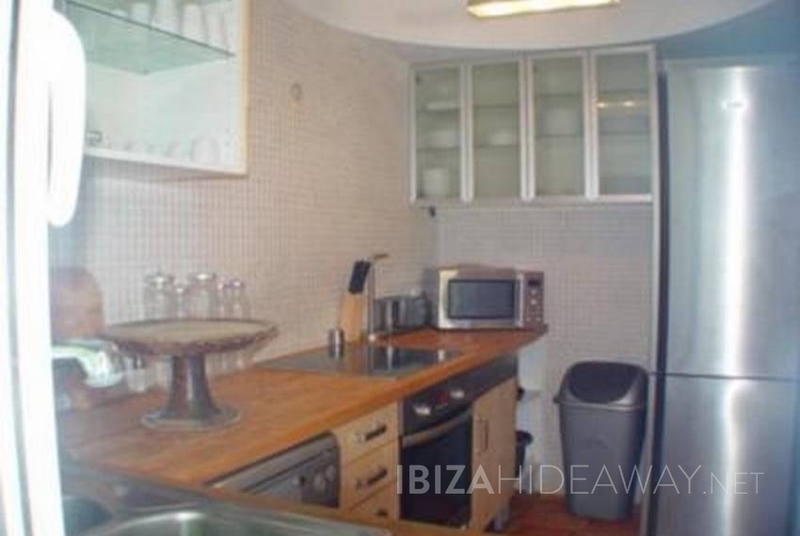 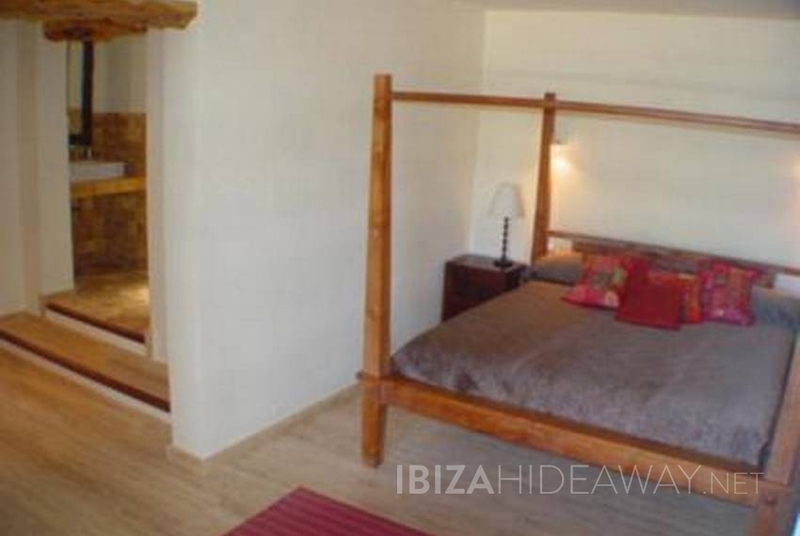 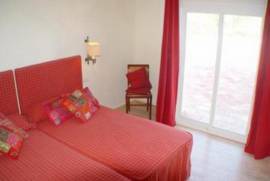 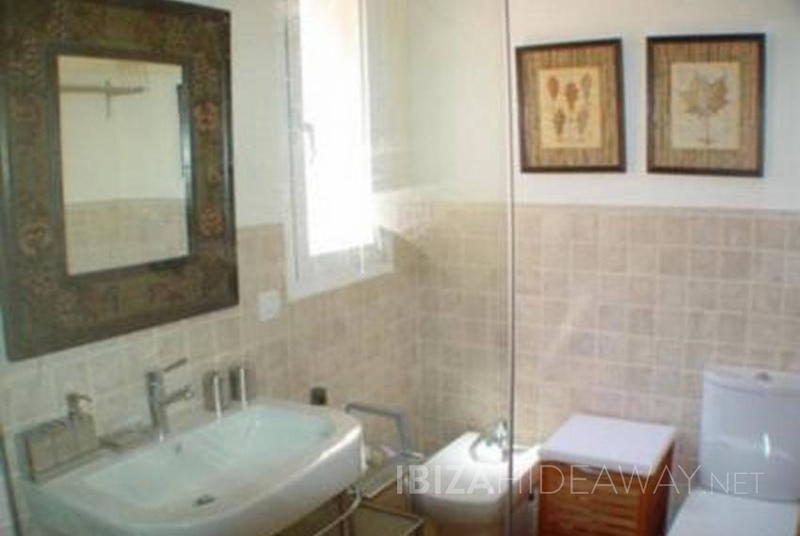 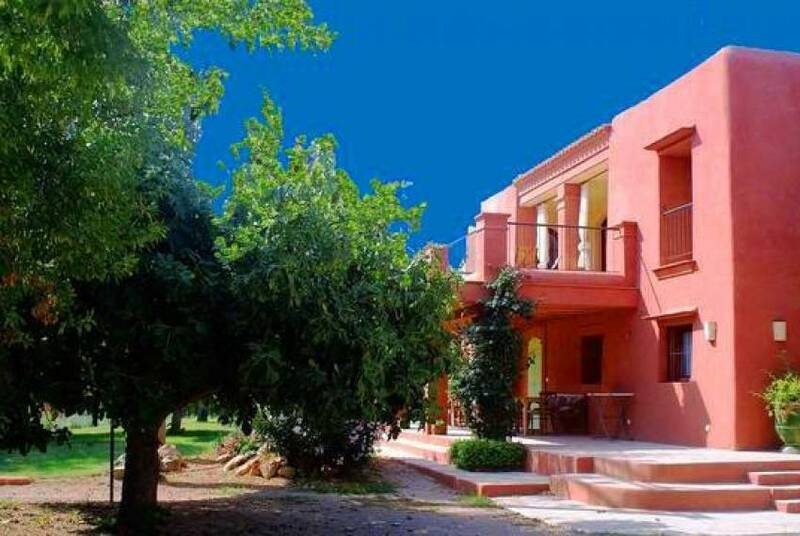 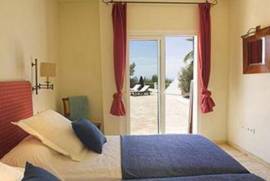 The house features a main building with four bedrooms and three bathrooms, kitchen, spacious sitting room, dining area and terrace as well as two independent apartment buildings with two bedrooms each by the pool. 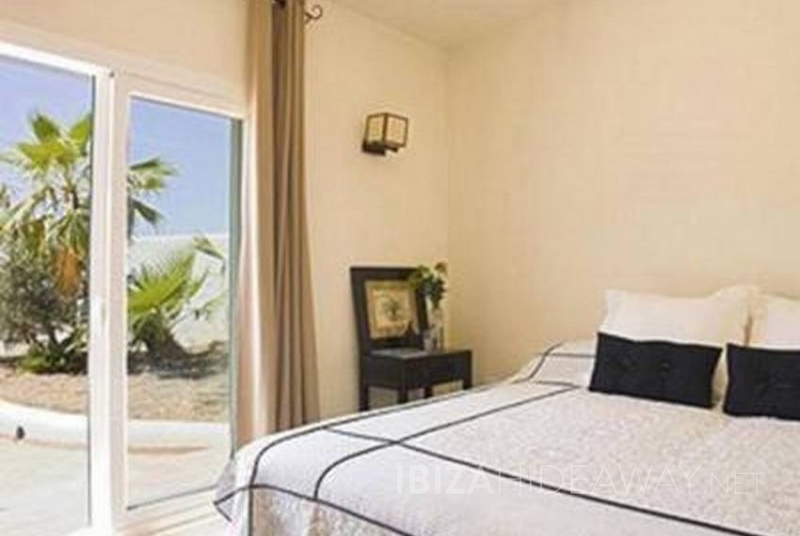 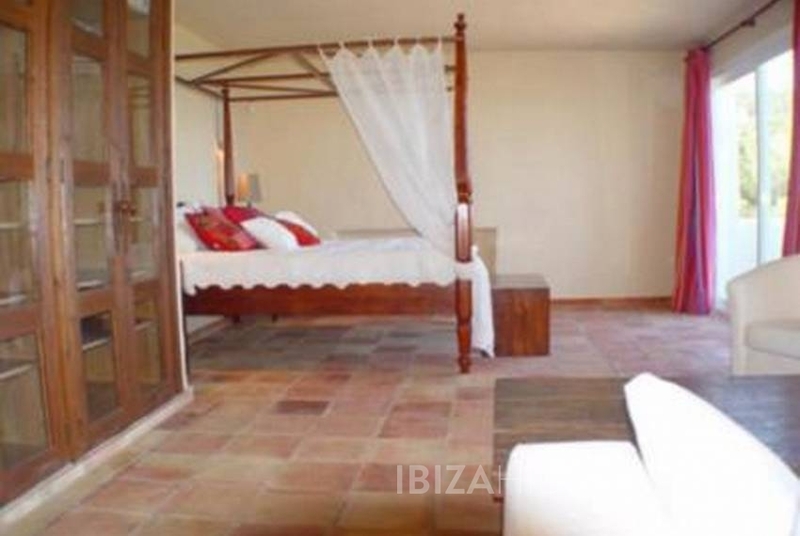 The master bedroom comes x-large of 65 square metres with walk in closet, its own terrace and lounge area, and en suite bathroom with jacuzzi and sea views. 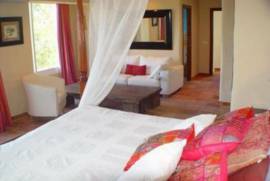 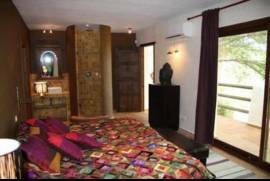 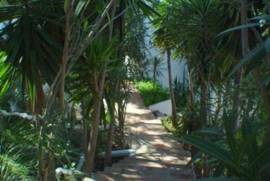 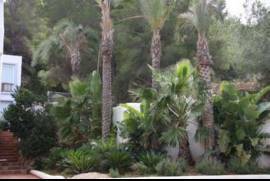 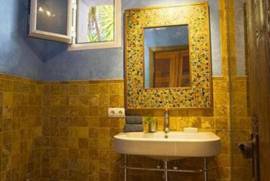 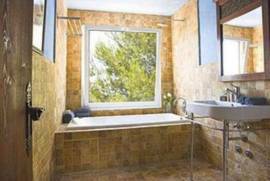 Whitewashed stone finca well decorated and equipped and furnishing for up to fourteen guests. 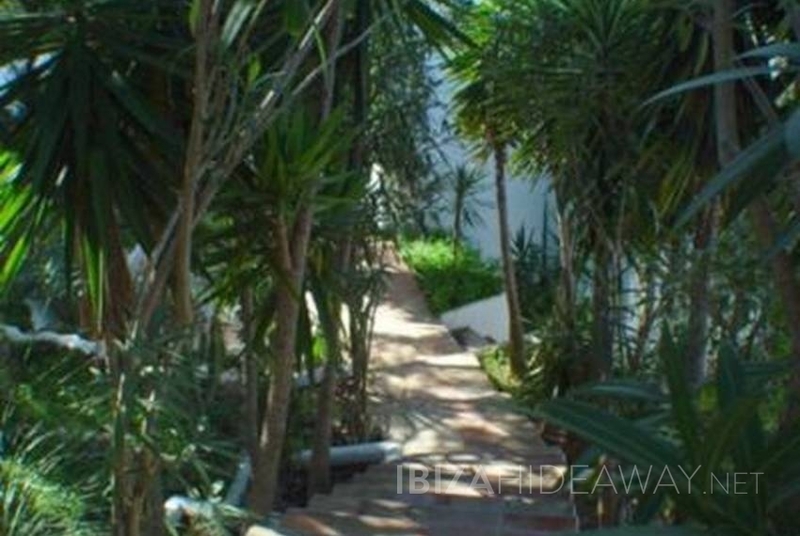 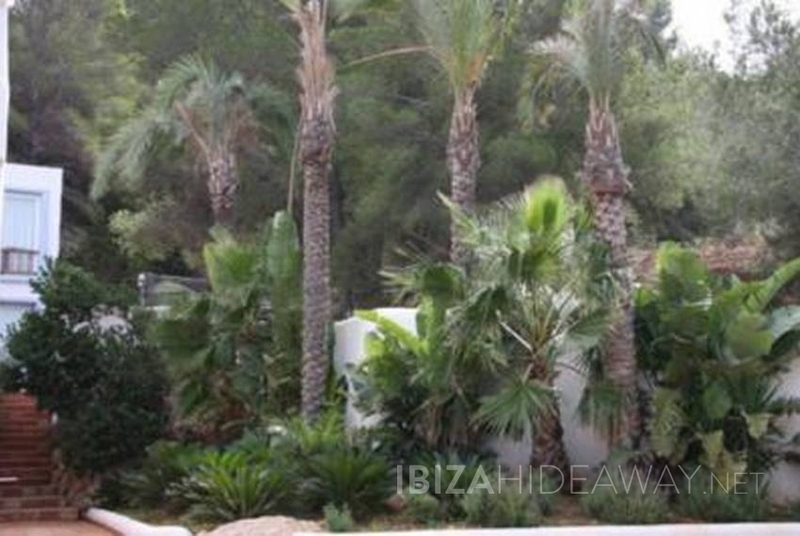 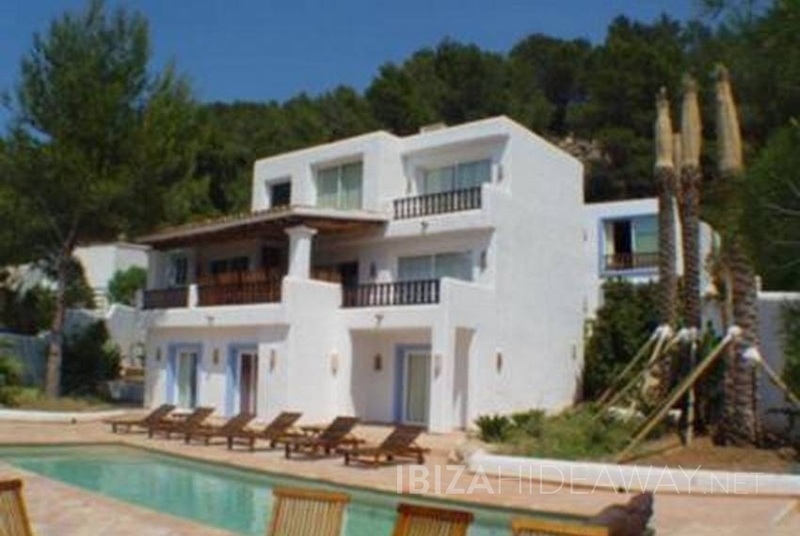 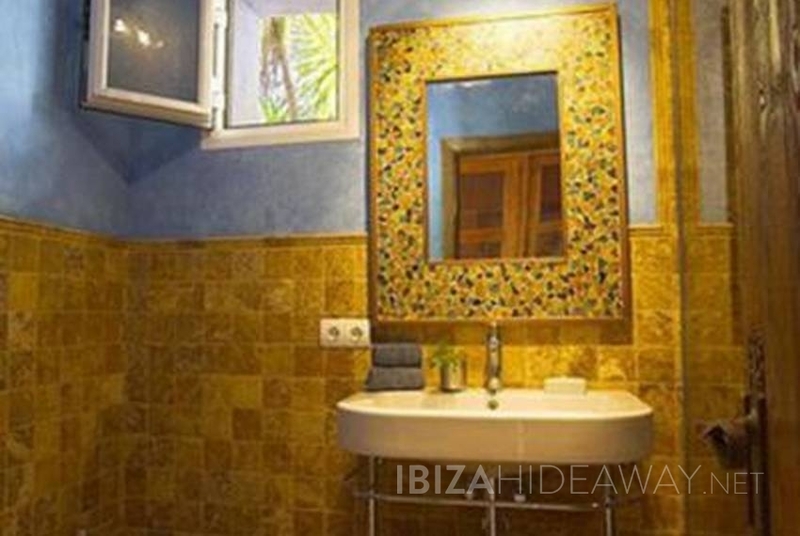 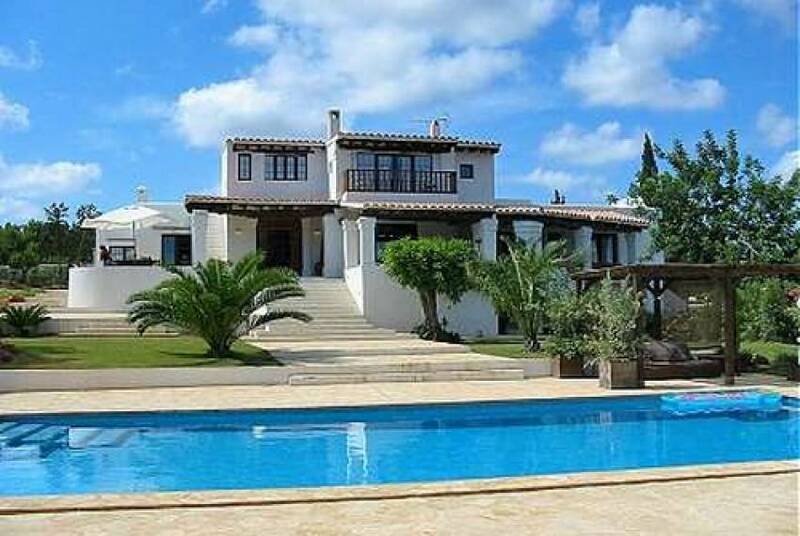 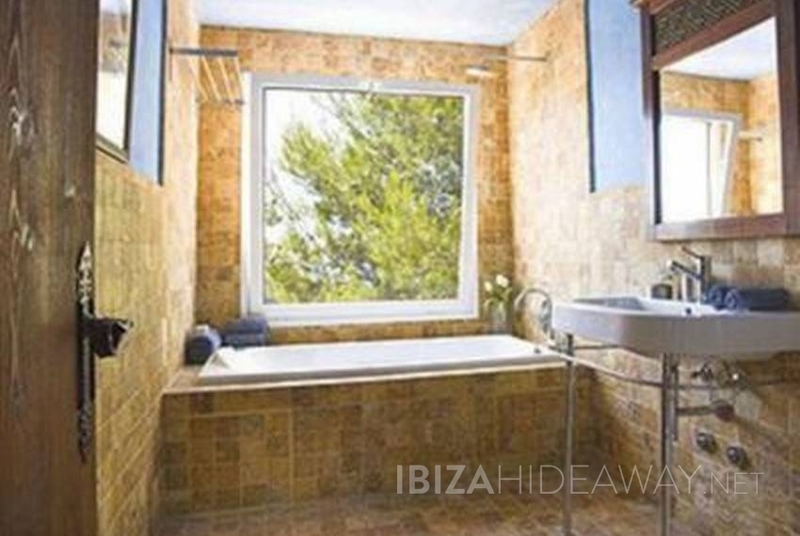 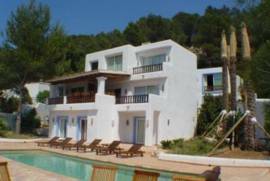 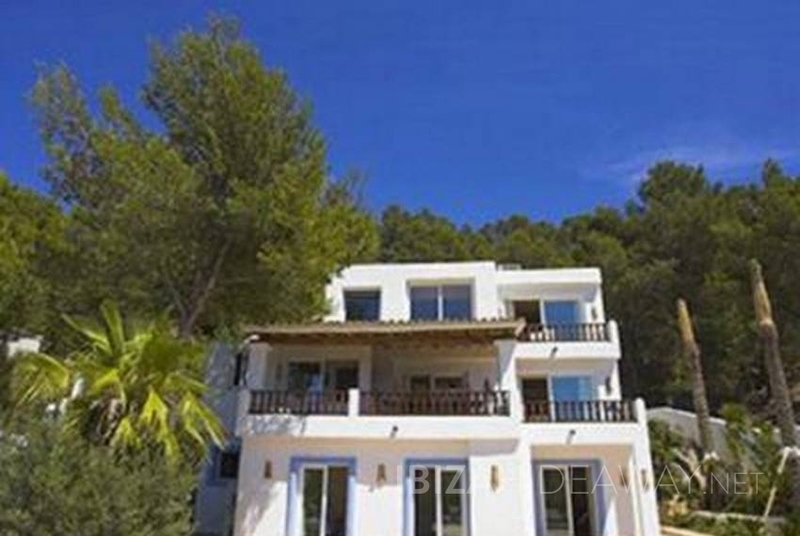 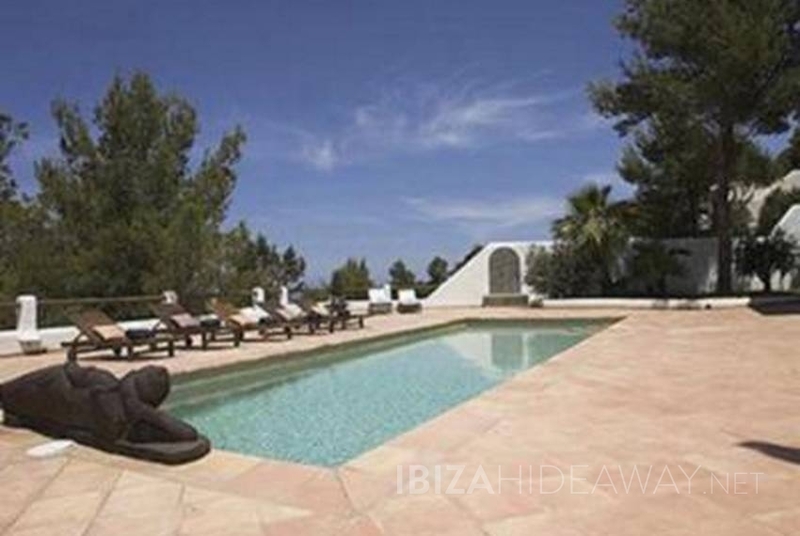 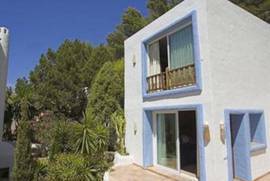 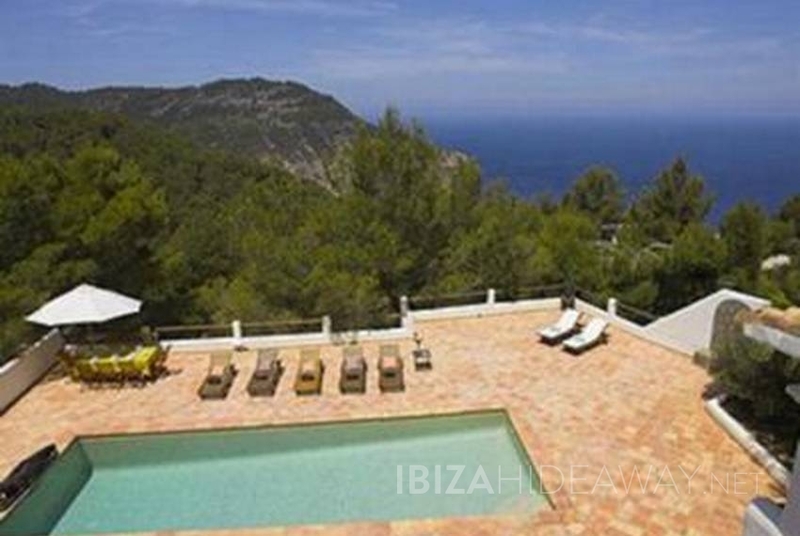 This typical Ibizan mansion is found at just 2 km out of the little coastal town of Santa Eulalia and offers expansive country and sea views.